Dr. Hilary Apfelstadt is Professor Emerita of Choral Studies at the University of Toronto where she held the Elmer Iseler Chair in Conducting. From 2013 – 2018, she was artistic director of Exultate Chamber Singers, a semi-professional ensemble in Toronto. A native Canadian, she has led her university choirs in performances at conferences of the American Choral Directors Association (ACDA), and at Podium, the national professional conference of Choral Canada. She has guest conducted numerous honors choruses and festivals through the U.S. and Canada, including more than 35 all-state high school choirs. She directed the 2014 National Youth Choir of Canada, and has conducted choral festivals internationally. Her teaching experiences range from public school to community ensembles to church choirs. During her significant career, Hilary Apfelstadt has mentored many young conductors. She has advised almost 90 graduate conducting majors, many of whom hold significant teaching and church positions. A former national president of ACDA, she serves on the Editorial Board for the ACDA Choral Journal. She has contributed chapters to several books published by GIA Publications: Wisdom, Wit and Will (Joan Conlon, ed. ), Conducting Women’s Choirs: Strategies for Success (Debra Spurgeon, ed.) and Teaching Music Through Performance in Choir, volumes 4 and 5. Her book on the life and work of Canadian composer Ruth Watson Henderson, I Didn’t Want It To be Boring (Toronto: Prism Publishers) won Choral Canada’s award for Outstanding Choral Publication in 2018. A prolific author, Dr. Apfelstadt wrote two chapters in Wisdom, Wit and Will: Women Choral Conductors on Their Art (GIA, 2009), and also authored a chapter on Canadian choral music in Conducting Women’s Choirs: Strategies for Success (GIA, 2012). She serves on the editorial boards of ACDA’s Choral Journal and the International Journal of Research in Choral Singing, and NCCO’s Choral Scholar; she is also Choral Editor of the Canadian Music Educator. 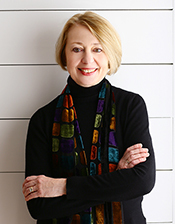 A past national president of ACDA (2007 – 2009), she is a member of the current Executive Committee through June 2013.